It's about Wall Trap- so I'll break it in some parts – 1 Wall Level 25 , 2 Research , 3 Heroes , 4 Familiars & 5 Gears & Jewels & 6 Talents. 2 Research – You need to complete Research of Defense & Upgrade Defence. 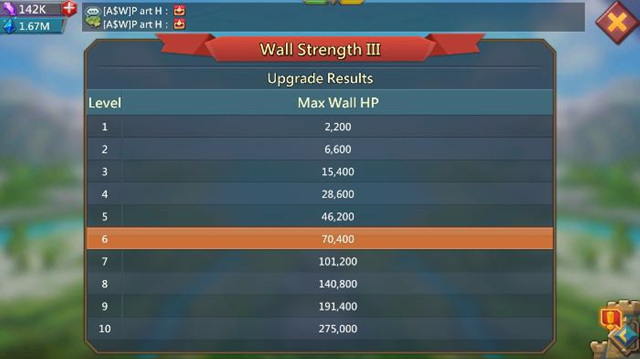 After all the Wall Durability & Strength research your wall HP will be 1,518,750 HP enough to eat beat T4 single attack. 12.5k +125k+150k+275k = 1,158,750 HP. It would need academy 25 though for all max research. 3 Heroes – There are 10 F2P heroes which helps for wall or trap, I recommend station them as per your army which you currently have so it becomes helpful for defending when wall is off too. 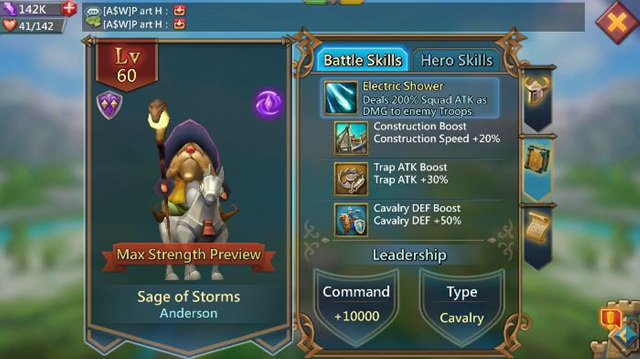 You can see in pics which heroes you'll need actually as per your army. If mix composition chose mix heroes & like wise. 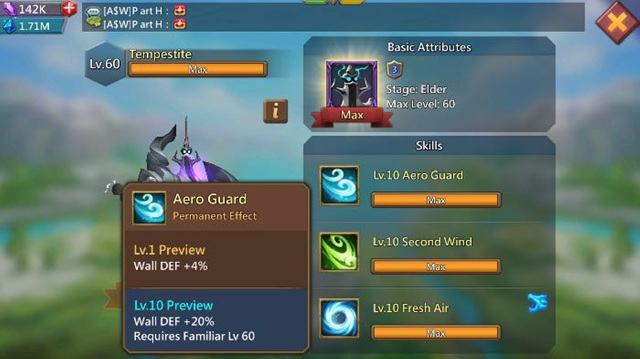 Heroes help in wall Def , trap attack & Def and they have 1 or 2 other skills also for battle so choose best 5 out of 10. 4 Familiars – There are currently 2 familiars who helps for wall trap , 1 helps is wall defence & 2 helps in wall help restore. 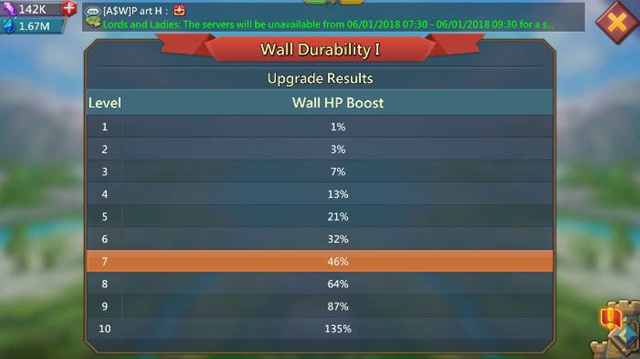 Wall HP restore is a game changer because the wall requires long time to rebuild. 5 Gears & Jewels – You'd make wall defence , trap attack or trap defence gears some gear give 2 of this already prefer them. You can use Wall defence, trap attack and defence jewels on gears. Last but not least always have anti scout on because T4 would send seige engines if anti scout isn't on. Try to change gears on last seconds if possible. 6 Talent – You can apply Talents in Trap offence as well. So basically your wall if 1m+ can take down morale of T4 player attack without wall breaking down but the report will be received as the wall don't kill troops of a player and some troops go back even after 0% morale. 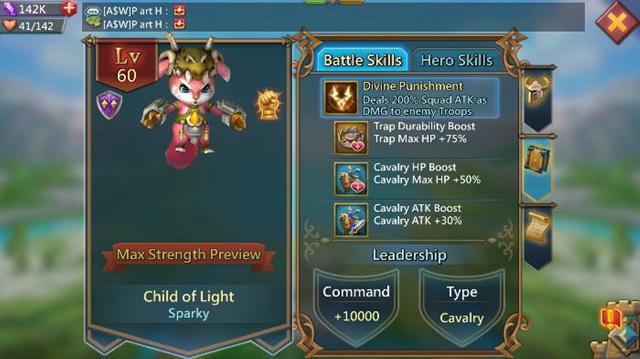 But if you've right heroes and more troops and you use the skill of wall hp from familiar with anti scout on T4 will be fooled again if he attacks again alone. If you've got more troops don't get into the fury to save and shield from rallies. So if a trap becomes wall trap too it could make you unsafe as battle report is received and in future rally might come your way. Building mix traps is recommended for wall & make T3 traps only as they would take less time compared to T4 traps. Also building Traps can be slow but it's worth. You can always give suggestions if I missed anything I tried to cover almost everything.